When considering the most cultural cities of the world, Paris is generally found near the top of the list, though of course our own City of Lincoln is special to us. 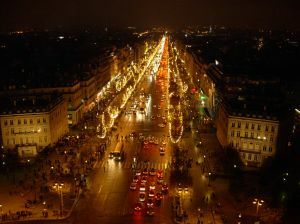 But with Paris the galleries, museums, boutiques and exquisite eateries are seemingly endless. How then, as a tourist can you make the most of your short break in one of the world's most popular cities? We have defined a list of top 10 to-dos on your visit to Paris. 1) The open top bus tour. Every tourist city has it, many tourists use it. An easy way to see the city while relaxing and listening to the English commentary provided. Tickets and routes vary depending on what you want to see, but the basic principle is the same. Hop on and off all day long, stopping to see the attractions that catch your eye. With frequent buses and many stops there is no excuse not to be brimming with Parisian culture by the end of the day. 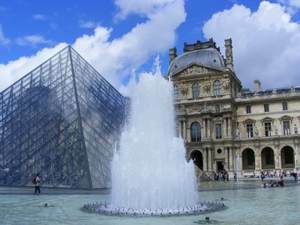 2) The Louvre is arguably the most famous museum / art gallery in the world, hosting some of the most famous masterpieces in the world. Da Vinci's 'Mona Lisa' is just one of a huge collection of renaissance art, sculptures, ceramics and many many more exhibitions. Guided tours, performances, concerts and readings make the Louvre much more than your regular museum. Opening times vary and we recommend checking before hand. 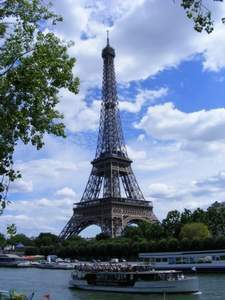 3) Keeping with the theme of iconic Parisian locations, our next recommendation is the Eiffel tower. The top of the tower is 276 metres and you can choose to walk the first 115 metres if you so desire. For the less energetic, there are several lifts available to take you to the top. Two restaurants within the tower (altitude 95 and Le Jules Verne) both provide 365 degree views across Paris, offering one of the most romantic dining experiences available. 4) A more recent 'claim to fame' for the city, like Lincoln, has come thanks to Dan Brown's bestseller 'The Da Vinci Code '. There are mixed views about this book but the 'Da Vinci code' tour has seen Dan Brown fans from around the world flock to Paris. See the locations made famous in the book while re-tracing the steps of the lead characters, Robert Langdon and Sophie. A must for Dan Brown fans, but book early - there are a lot of them! 5) Moving to a slightly different theme our next recommendation is Disneyland, Paris. Fun for all the family - meet the characters, enjoy the rides, experience a journey through Disney's television and cinema history. With 4 zones to explore - Animation Courtyard, Frontlot, Production Courtyard and Backlot, you will do well to explore the whole park in one day! 6) City Segway Tours offer a unique way to explore Paris. The Segway, invented by Dean Kamen is designed to operate in pedestrian environments and its unique balancing system makes it one of the safest and enjoyable ways to explore the city. City Segway Tours provide you with your Segway and all necessary safety equipment, and take you on a guided tour of the sights and attractions of Paris. This is becoming a very popular way to see the city so make sure you book in advance. 7) A more 'French' way to see Paris is by taking a tour of the city in a chauffer driven Citroen 2CV. An iconic French symbol, the 2CV tour will give you a personalized tour, highlighting all the main attractions. As space is limited, the tour is very personal, with the chauffeur happy to stop as you please, full of knowledge to answer every question. 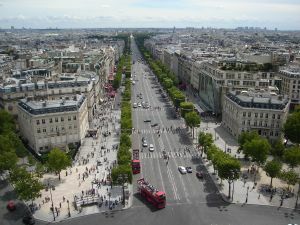 8) Seeing as you are in the fashion capital of the world, it would be rude not to explore the shopping possibilities of the Champs-Elysees. You will find boutique after boutique, something for everyone and plenty to amuse the window shoppers! After a hard afternoon in the shops, relax at one of the many outdoor café's and indulge in a bit of people watching. 9) After all that sightseeing you will need somewhere to eat. In the Latin Quarter you will find L'avant-Gout. The chilled atmosphere, high quality, reasonably priced food makes this a great way to enjoy some typical French cuisine. The menu may not change too often but that is because there is no need for change. Continuous, consistent rave reviews have made this restaurant one of the most popular in the city. 10) A great way to end your day is with a few cocktails in Buddha Bar. Located in the middle of the 8th Arrondissement, this stylish bar is filled with fashionable drinkers being looked upon by a giant Buddha. With DJ's playing ambient tracks it is the perfect place to relax after a hard days sightseeing.